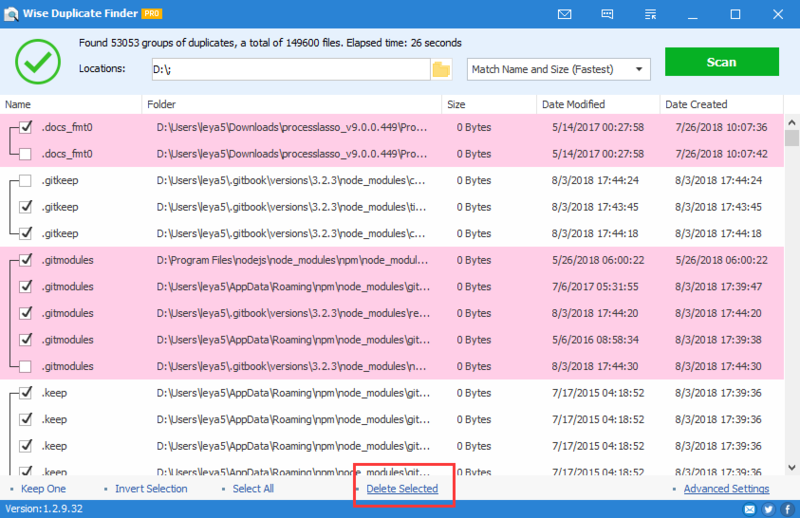 How to use Wise Duplicate Finder to find and remove duplicate files from your disk easily? Wise Duplicate Finder is a disk management software, it scans the disk to find duplicate documents, images, videos, and so on. 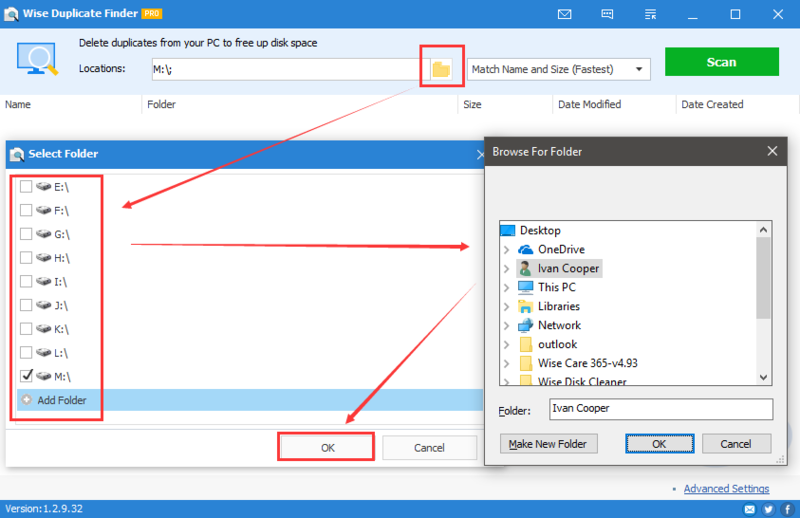 By removing/deleting these duplicate files, you can free up your valuable disk space. It is really fast, accurate and easy to use. When launching Wise Duplicate finder, first to be noticed is the file locations’ selection on the top left. 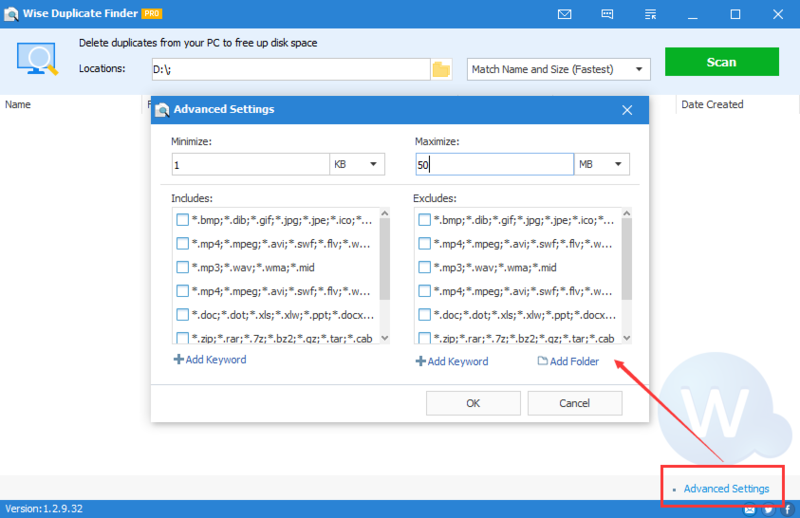 Please click "Add folder" to select a location like Desktop, Windows Libraries, Hard Disk Drives to scan the duplicate files. you can configure it to compare file name and size, partial matches, even search results by exact matches. Different ways will list different results. Of course, it will also take different time. Meanwhile, you will find each part of duplicate files are colored differently, which makes you spot them easier. When scanning complete, all duplicate files are stored by group with different background colors. Next, select which files you want to delete, and click "Delete Selected" button at the bottom. 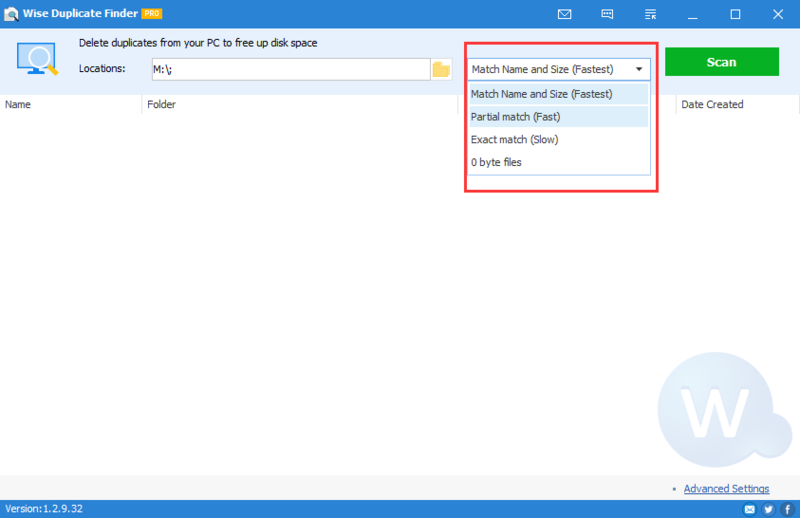 At the lower right corner, you will find the "Advanced Settings", from here you can set to scan according to the file type such as images, audio, video, documents, archives and emails. Or, add exclude file types. Wise Duplicate Finder is set to automatically back up the deleted files in a specific location in case you delete them by mistake. 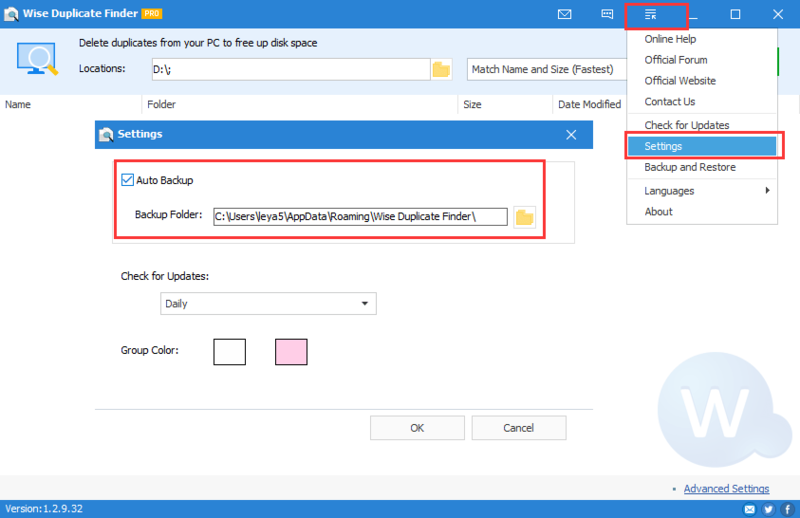 You can disable it or change backup folder in Settings. 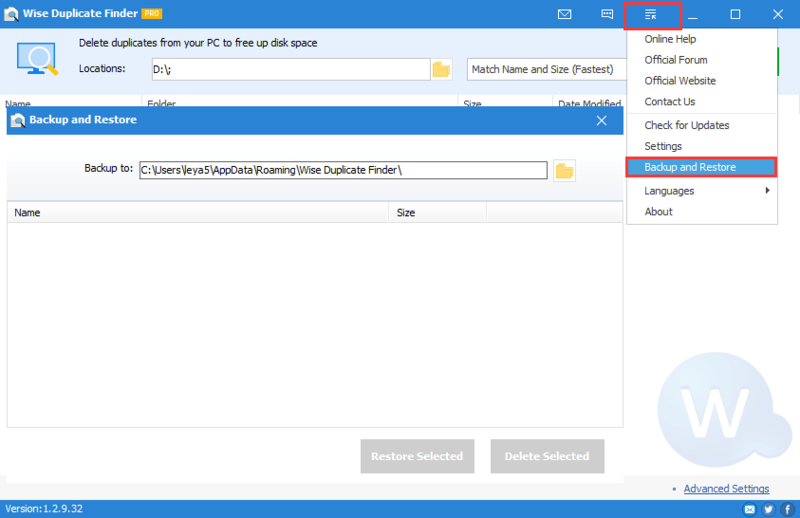 Note: Backup is valid only if you use "Delete Selected" button to delete files. 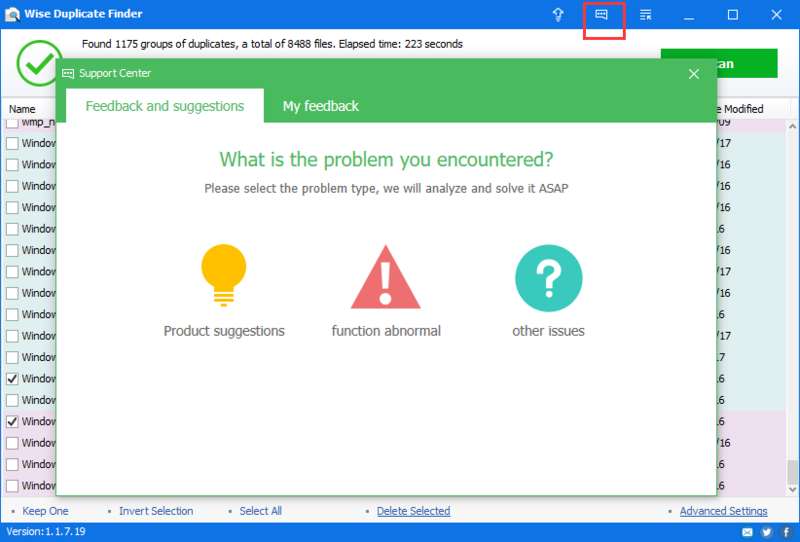 Any feedback or suggestions about Wise Duplicate Finder, please submit via the support center, or email to us.